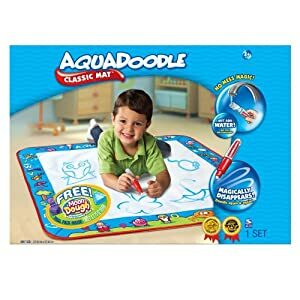 Save 48% on an Aquadoodle Draw & Doodle Mat with Moon Dough, Free Shipping! The Aquadoodle Draw & Doodle play mat is just $12.99 on Amazon right now. That's 48% off the list price of $25. Even better, it comes with a free sample of Moon Dough! If you're an Amazon Mom you'll get free 2-day shipping. If not, shipping is free when you spend $25 or more.